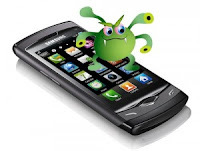 Will viruses affect S40 devices like Nokia-5130? Is there any JAR viruses? This is the Question many of my friends asked me. Whenever everybody's S40 phones becomes slow on performance, most of the users will think that that mobile is affected by some deadly virus via Bluetooth or computers. And many of them go to Mobile shops at that instant and formats the phone, spending near 4$!. You must understand one thing first: There is no viruses for S40 devices and no viruses can attack your device. If you have formatted your phone from a mobile shop and gave $$$ to him, actually he is cheating you. Just read below and I will explain everything related to this. I have seen on many forums and comments many users requesting for a Antivirus for S40 mobiles. If you ever searched in google to download S40 antivirus, you may have seen that there is no antivirus for S40 devices. This is because Antivirus companies are not fools! Why did they make an Antivirus for a mobile that supports no virus? For understanding the reason for why no viruses are there for S40, you must understand what a VIRUS actually mean. Viruses : What is that? The answer I already said: NO. Why? Let me explain. The only executable type (code that can execute itself) supported in S40 is java .jar files. It has so many restrictions. I meant, imagine that an idiot makes a virus that deletes all .jpg files in your memory card automatically. Then imagine that this app anyway came into your mobile (somebody sent via bluetooth claiming that this is a useful app). Now for the virus to work, it must run first or you must open it. It can't run itself (no autorun options like in PC). And then if it wants to delete the files, it first sends requests to OS to read the file system. Then what? you will get a message that this app is requesting to read your files system and do you want to allow it?. If you click yes, it will read files system or if you press no, it can't !. So even if you press ok, it cant delete it because unless a software has certificate and user change permission options, it cant modify anything!. That means even if anyone creates a virus in JAR, it cannot do anything! So which idiot will be dare to create a virus? HAHA! if s40 phone is modded/hacked to run unsigned apps, then virus can delete the files and also they can be autostarted.